Based on the socks purchased in the Gobi Desert, the heels on these are worked with short-rows and the toes are decreased every row. They are shown with yak-hide boots purchased in Mongolia. The camel yarn was supplied by the Snow Leopard Trust. Photo by Joe Coca. 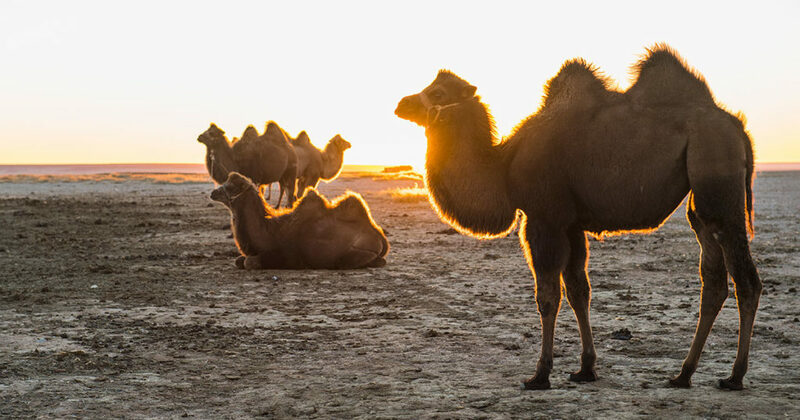 In the southern Mongolian Gobi desert, camels rule. They provide transportation, milk, meat, cheese, yogurt, beer, camel-milk vodka, hides, coarse hair for ropes, and finer undercoat for next-to-skin garments. 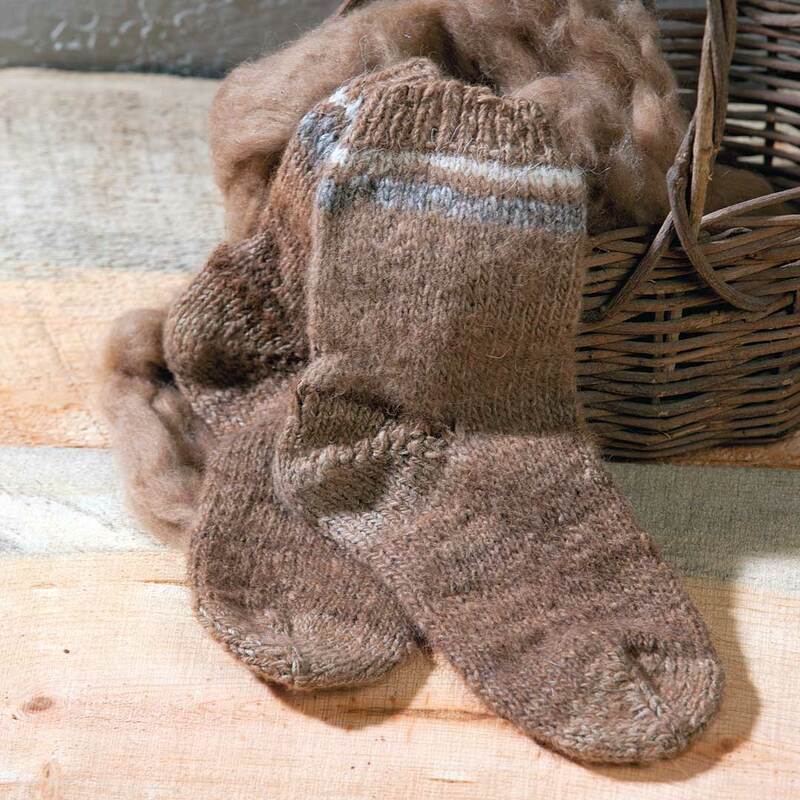 The socks shown below were knitted in the southern Gobi near Dalanzadgad. The plucked fiber, which contains a fair number of coarse guard hairs, was carded on a crude drumcarder and spun on a supported spindle. The cuff, heel, and toe are plied. The rest of the yarn is single. The socks themselves were knitted from the top down. They’re designed to provide a bit of comfort inside the camel- or yak-hide boots that most Mongolians wear—which often don’t differentiate between left and right feet, making that extra bit of padding most welcome. The handspun, handknitted socks purchased in Mongolia’s southern Gobi Desert near Dalanzadgad; they were knitted from the top down. Photo by Joe Coca. Donna’s re-creation of Linda’s handspun, handknitted socks were worked using a camel yarn supplied by the Snow Leopard Trust on size 2 (2.75 mm) (affiliate link) and 3 (3.25 mm) (affiliate link) double-pointed needles. Based in Seattle, Washington, the Snow Leopard Trust began a long-term study in 2008 in Mongolia’s South Gobi on the endangered snow leopard. The trust focuses on the protection of snow leopards and their habitat, involving local communities in the effort. Their online store features products handcrafted in these local communities, along with the camel wool yarn from the Gobi Desert used in our project socks. For more information, visit www.snowleopard.org. Featured Image: Bactrian camels resting, Gobi desert, Mongolia. Photo by Henn Photography/Getty Images. 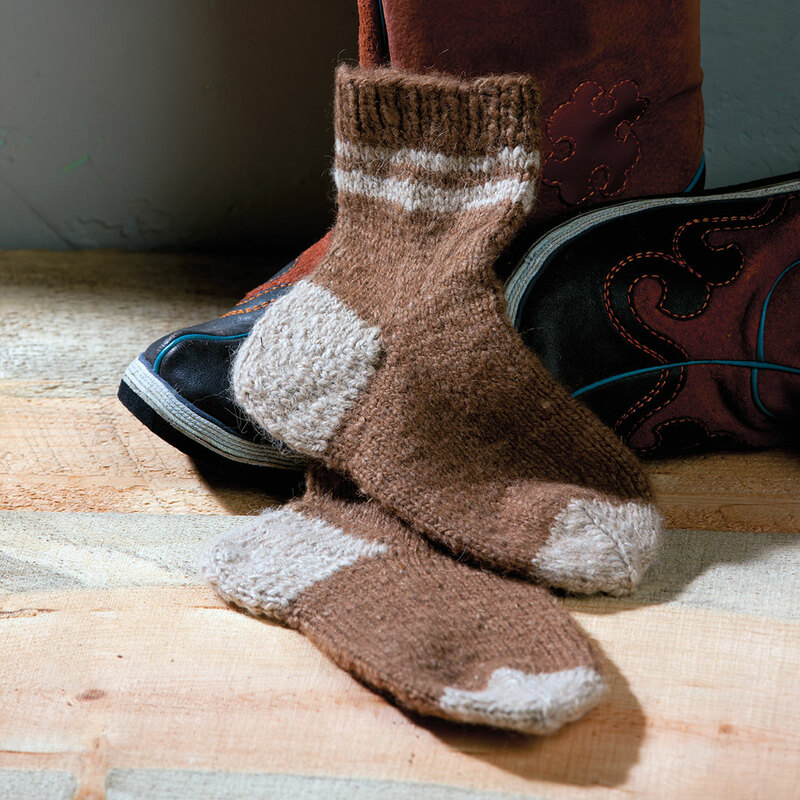 Find more knitted socks from around the globe in PieceWork!